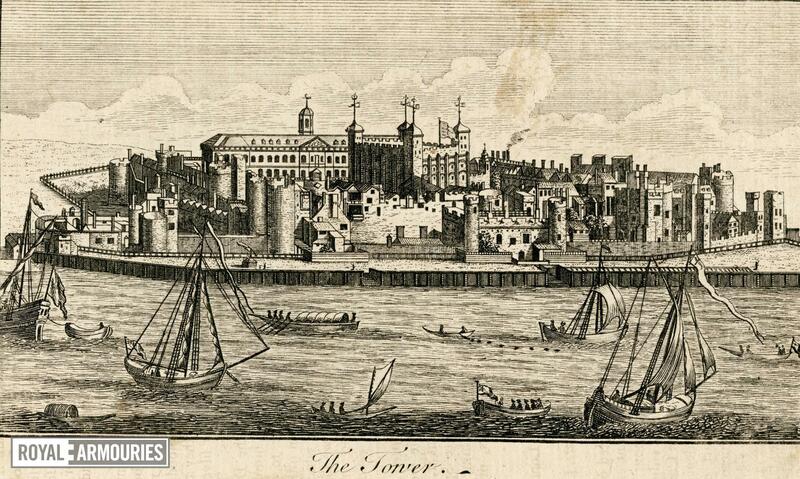 'The Tower', from the river. 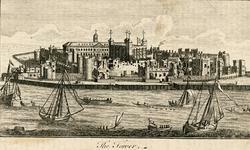 Engraved view of the Tower of London from the south bank of the river. Unsigned and undated. A reduced version of the Kip engrving, with a view of Penshurst Place stuck to the back of the mount. Signed 'Ireland del: Eastgate sculp'.